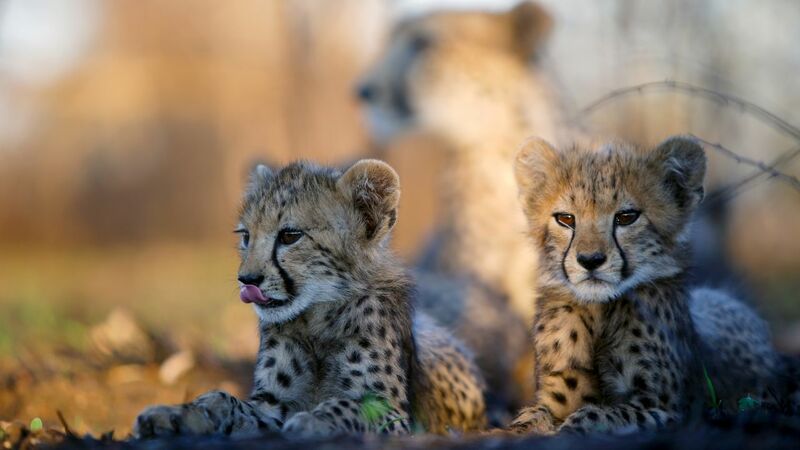 Picture shows: Two young cheetah cubs lie in the shade while their mother rests in the background, Malilangwe Wildlife Reserve, Zimbabwe. Deep in the Guatemalan jungle, there’s an organization whose staff works around the clock to try to save and care for injured, orphaned and endangered animals brought to its facility from all over the country. This rescue center, known as ARCAS, is at full capacity with over seven hundred boarders of all shapes and sizes, chiefly victims of the illegal pet trade. However, the team still tries to accommodate additional rescued animals arriving daily. The program centers on the work and challenges faced by jungle veterinarian Alejandro Morales, his zoologist girlfriend Anna Bryant, and their group of dedicated staff and volunteers, as they try to rehabilitate and prepare all types of wildlife for a return to the wild. There is a growing problem in North America affecting moose, the largest species of the deer family. Whether they make their home in the Canadian Rockies or in Minnesota, moose populations are declining at a rapid rate. One reason is that many of the newborn calves are not surviving their first year. In order to find out why, one intrepid cameraman spends a year documenting the life of a moose calf and its mother to understand what it takes to survive. The elusive, playful, and adaptable otter has the distinction of having mastered both the aquatic and terrestrial worlds. They are equally adept at hunting underwater as they are foraging and chasing prey in a forest. But they are not easy to spot, despite the fact, there are 13 different species on earth. Although they’ve been hunted for sport and fur and their numbers are down, not one species has become extinct. How otters are able to operate so successfully on both land and in water has fascinated wildlife filmmaker Charlie Hamilton James for years, so he decided to see what he could learn from studying several species around the world to discover their survival secrets. The program focuses on efforts to rehabilitate three orphaned river otters in Wisconsin, shows some ground breaking experiments using cool cameras and anatomical CGI, and captures other wild encounters. Life on the African plains is a constant struggle, and for a single mother rearing her offspring, the odds seem to be stacked against them. This is an inspiring tale about motherhood and family, as we follow a cheetah family on the grasslands through the eyes of conservationist and cameraman Kim Wolhuter. The mother is completely on her own, protecting her five newborn cubs and teaching them how to hunt some of the continent’s fastest game. Watch as the inquisitive cubs explore the world around them and discover their place in the forests of Zimbabwe. Over time, two sister cubs survive and develop into brave and successful predators ensuring their species will give birth to another generation. Remember to tune in on Wednesdays at 8|7c on PBS (check local listings.) Happy March Viewing!